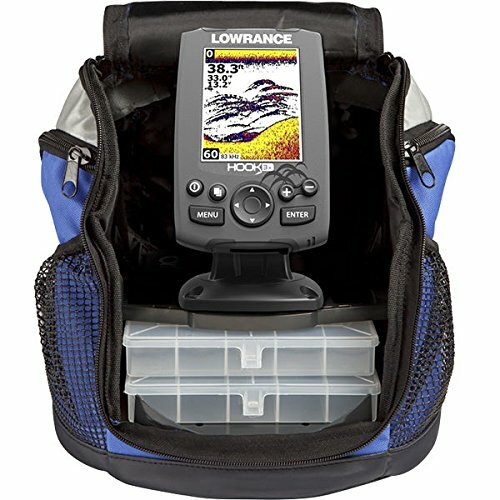 This Lowrance Hook 3X All Season Pack is a great entry level Ice Fishing Sonar Unit for those who are on the fence about jumping into ice fishing. The initial investment is low and it can always be used down the road as a loaner unit to a fishing partner if you upgrade. Keep yourself (and others) equipped, grab this deal, and catch more fish! Posted on September 7, 2017 by IFDPosted in All Deals, Sonar & CamerasTagged Amazon, HOOK, hook-3, hook-3x, Lowrance, lowrance hook, lowrance hook 3, lowrance hook 3x, Lowrance Hook-3X All Season Pack.